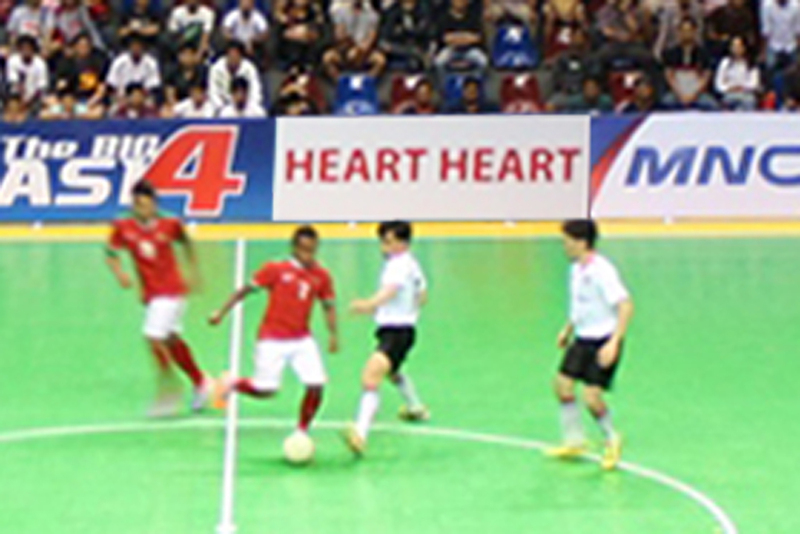 From 9th to 14th April of 2015, we visited Jakarta, Indonesia with the players of Bardral URAYASU as “Team XYZ” supported by Benesse Holdings, Inc. We had some exchange programs in culture and sport such as futsal friendly match “HEARTHEART CUP” and workshops. On 10th April, we visited Pendidikan Kartini Nusantara, the school which accepted children who were in poor families and not be able to go to the public school. 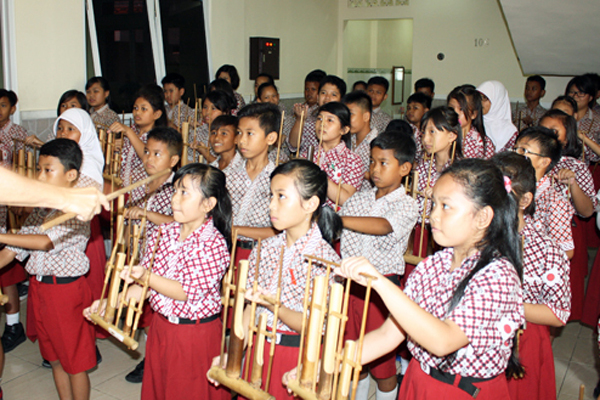 About 200 kindergartners and pupils welcomed us with Indonesian traditional instrument Angklung. We introduced children to Kanji (Chinese character) such as “Mountain”, “River” and “Forest“, using an original textbook. We also played with Origami and Japanese paper balloons so that children could deepen their interests in Japanese culture and education. 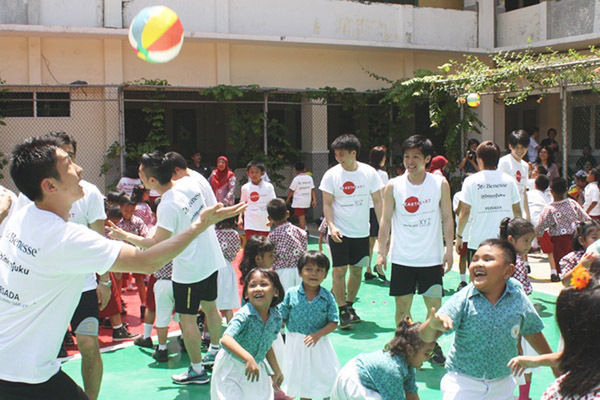 Next day we invited neighborhood children and hold the futsal workshop at the University Darma Persada established by PERSADA (Association of Indonesian Alumni from Japan) which cooperated with us in holding those workshops. 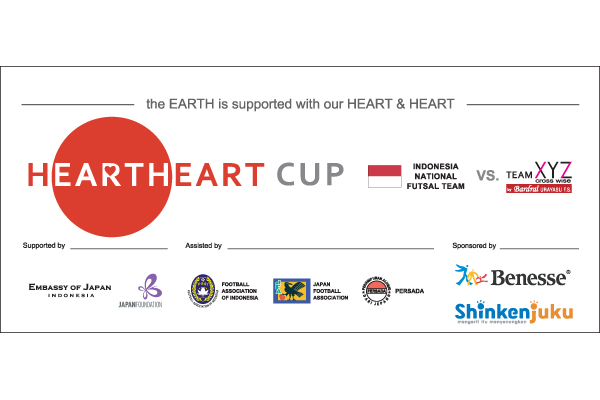 On 11th and 12th April, “HEARTHEART CUP”, the futsal friendly matches between Indonesia National Team and Bardoral URAYASU, was held at BritAma Arena in Jakarta in the presence of Japanese Ambassador in Indonesia H.E. Yasuaki Tanizaki. 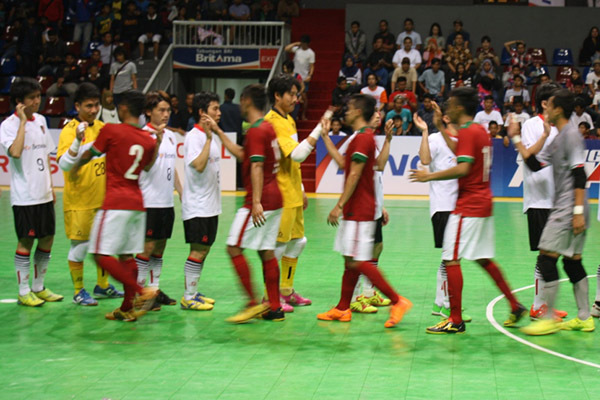 Futsal is very popular in Indonesian people and both matches were broadcasted live by MNCTV. Two teams played heated matches that could link their Heart to Heart while a total of more than 3000 spectators were cheering on. 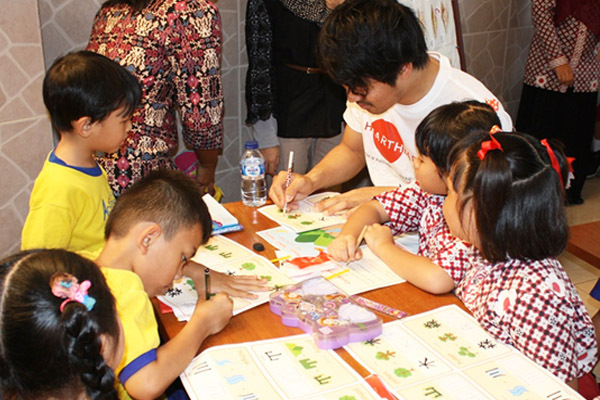 This project was supported by The Japan Foundation Asia Center as a Grant Program for Enhancing People-to-People Exchange for 2015. « Our original song “HEARTHEART” was sang in chorus and our picture books were donated at the music event in Myanmar.